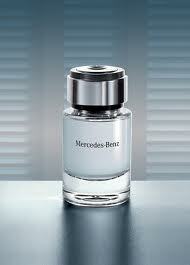 Best known for its luxury automobiles, Mercedes-Benz recently launched its first fragrance for men. Vibrant, masculine and distinctive, the scent perfectly complements the luxurious world of the brand. The men’s fragrance created by the renowned perfumer Olivier Cresp is a woody spicy fragrance. Top notes are bergamot, amalfi lemon and mandarin orange; middle notes are galbanum, nutmeg, violet and pepper; base note are vetiver, patchouli and Virginia cedar. The fragrance range comprises of Eau de Toilette spray, after-shave spray, after-shave balm, shower gel and deodorant stick. The scent is packaged in a masculine bottle that is embossed with the unmistakable Mercedes-Benz emblem. Available at Grand Stores and other leading stores across UAE.